In the previous posts we covered the basic derivative rules, trigonometric functions, logarithms and exponents (click here). But we are still missing the most important rule dealing with compound functions, the chain rule. 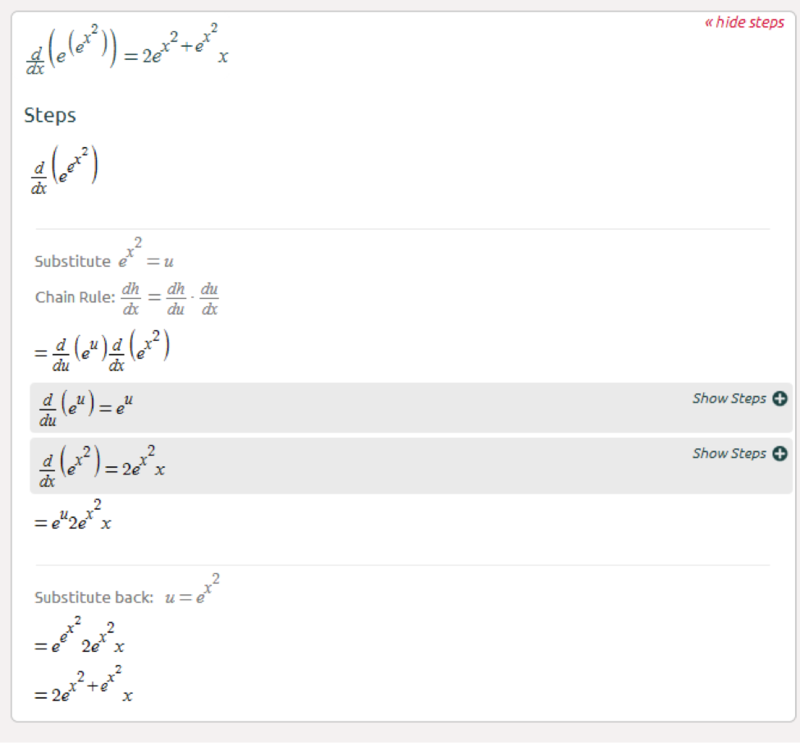 With the chain rule we put it all together; you should be able to derive almost any function. There are some advanced topics to cover including inverse trig functions, implicit differentiation, higher order derivatives, and partial derivatives, but that’s for later. A good writing service connect with clients to make sure they are doing the appropriate job. While making a paper writers consider client’s suggestions and cares to take them while writing. Have a look at custom written papers to find more information! 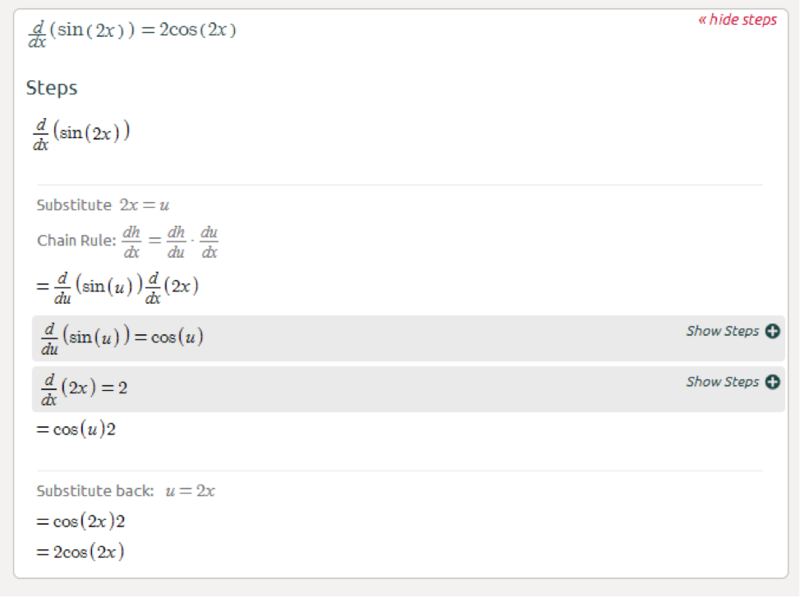 I'm trying to understand the notation the calculator uses, in the symbolab tutorials and on this page it uses (f(g(x)))’=f’(g(x)) *g’(x) style of notation, but the calculator uses f and u instead. I'm having a hard time interpreting how to compute chains when the system I use to check my work is using a different notation. I've noticed that the u=g between the two systems but why does the calculator use a different notation than what is taught (even in your own tutorials)?